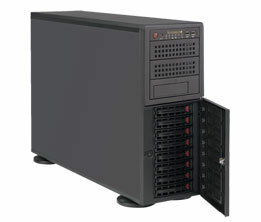 Server-grade Performance, Efficiency and Expandability with 24x7 Reliability. 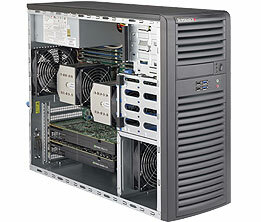 Supermicro offers the widest variety of Tower-based computing solutions optimized for applications requiring substantial I/O throughput, high storage capacity, and powerful graphics capabilities such as scientific and engineering design, 3D modeling and rendering, Digital Content Creation, video/film editing and image processing. 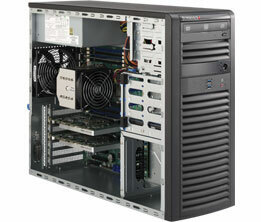 In addition, their rich multimedia features are excellent for digital entertainment and gaming applications. 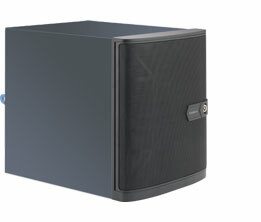 Designed for optimal performance, the dual-processor SuperWorkstation 7038 series support the QPI (9.6 GT/s) format Xeon® processor E5-2600 v3 family in a high-density Mid-Tower form-factor. 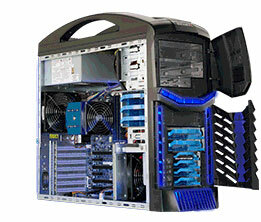 The 7038 SuperWorkstations are ideal for graphics-intensive applications, extreme gaming, or video rendering. 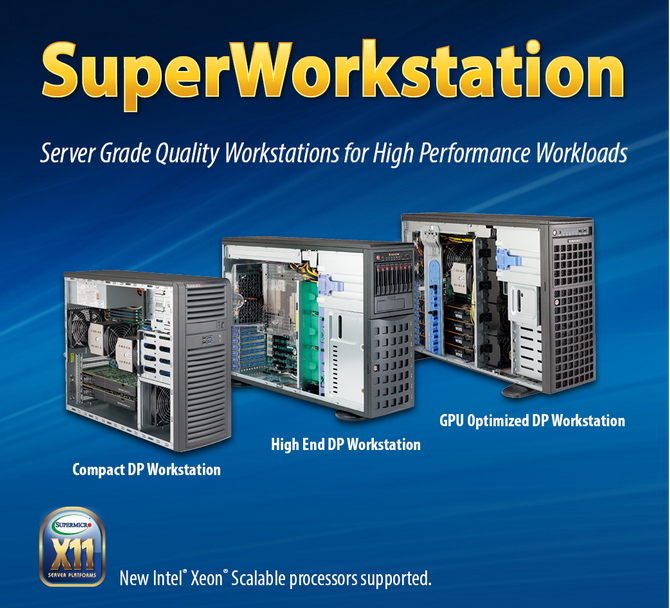 Designed for optimal performance, the single-processor SuperWorkstation 5038 series support the QPI (9.6 GT/s) format Xeon® processor E5-2600 v3 family in a high-density Mid-Tower form-factor. 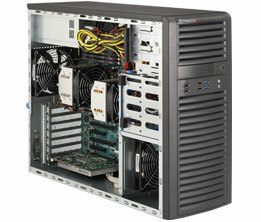 The 5038 SuperWorkstations are ideal for graphics-intensive applications, extreme gaming, or video rendering. 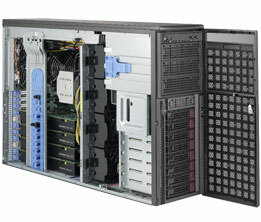 Supermicro's systems based on the Intel® Xeon® processor D-1540 (8-Core) System-on-Chip are well-suited for Space-efficient, compact design, Network Security Appliance, High Performance NAS Servers. 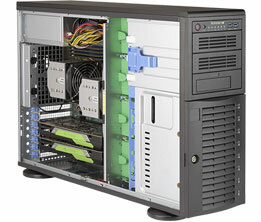 Applications includes Cloud and Virtualization, Corporate-WINS, DNS, and Business Critical Applications. 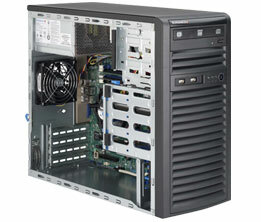 Supermicro's systems based on the Intel® Atom™ processor C2000 series System-on-Chip are well-suited for Space-efficient, compact design, NAS Servers, SOHO Entry-Level Server and Embedded Applications. 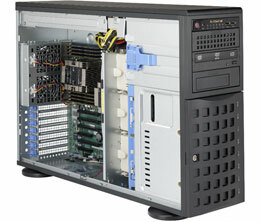 Applications includes Cloud and Virtualization, Corporate-WINS, DNS, Print, Login, and e-Business applications.